I truly hope this story touches your soul and inspires you to find your happiness in life. you only get one chance on this earth – for most of us, it takes changing your mind set and taking a huge leap of faith to make the most of it. The summer of 2015 forever changed my life in the most positive and inspiring way. For as long as I can remember, I had this nagging, unsettling feeling that my life was unfulfilled – like I was meant for something more and that I didn’t really fit in anywhere or with anyone. This feeling followed me through relationships, jobs, life achievements, friends, you name it. I’ll spare the details of my past and just say that I didn’t have the easiest first 29 years of my life. Not to say it was all bad, but I learned to be strong and self-sufficient, to be at peace with being alone and learned to understand that I won’t always receive the love I give. I was going through a particularly rough time in my life during that life changing summer. I suddenly found all my life plans (marriage, kids, white picket fence, etc.) crashing and burning and I once again was lost. Trying to find my place again, I decided to try new things and start focusing on me again. 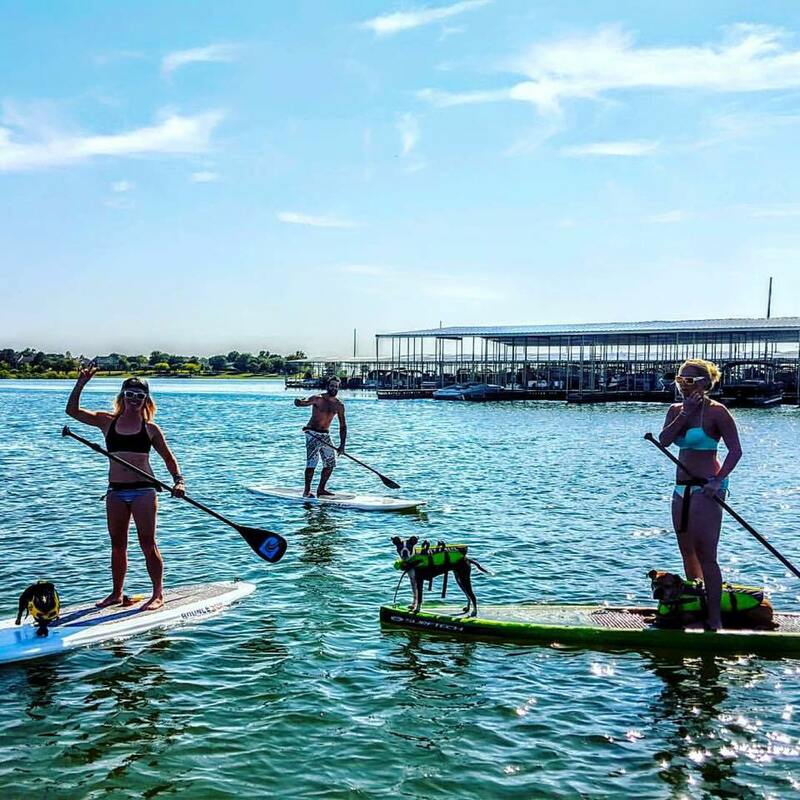 And then on a whim I bought a Groupon for a paddle boarding class at DFW Surf in Hidden Cove, Frisco. Little did I know that day on August 15, 2015 would forever change my life. Paddle boarding was fun, but I was hung over and honestly still a little drunk from a girl’s night out before and quickly crashed and burned. But I met an amazing person – yep, you guessed it…Justin Hammond, who introduced me to the world of wake surfing. At first I was scared – I remember asking “am I going to die”? Which I laugh at now because it’s one of the safest and most fun sports you can participate in. Being a total newbie, I didn’t even know what it was. Justin Hammond and Todd Johnson took me out on the boat to watch a coaching session with Claire Morgan. I was mesmerized and enthralled with her talent and how much joy riding those waves brought her. After that, I couldn’t wait to get my chance to get on a board. My big day came a few weeks after that. I met up with the crew at DFW Surf 121 and was completely anxious and a little scared. I have severe anxiety and with 5 back surgeries under my belt my stomach was in a knot. But me being me, I’ve never backed down from a challenge. I watched the stellar Hannah Stone bust out an amazing set, watched her body, her feet her arms, her determination and most of all, her smile. I suddenly felt all my anxiety and fear wash away. With my amazing surf dad Jeffery Stearns, coaching me from the back of the boat I got up and surfed on my first try with NO ROPE! I was so happy and so proud! The enthusiasm, hugs and high fives from everyone on the boat made my heart swell with gratitude and pride! Over the next few months I fell deeply in love with the sport and I surf every opportunity I get. I’ve progressed quickly and I hope to take my surfing to a whole new level over the next year. But whatever may come of this, there are a few things I want people want to know about the sport, the people I’ve met and about DFW Surf. · When I surf, my anxiety, fear, self-consciousness, competitiveness and all the negativity in my world disappear. A wave of joy, confidence and peace washes over me. It’s a peace I have never had in my life. After a surf session, everything in the world seems right. · I have met the most amazing group of people. They are the most selfless, kind, compassionate, encouraging, joyful and genuine people I have ever had the pleasure to call friends. From always inviting me on their boats to surf, to coaching me and helping me get better, to cheering me on when I’ve had a bad run, to calling me when I’m sad or sick and asking how they can help. For the first time, I feel like I have a family of friends. There is no judgment with this group of people, only love. · DFW Surf has provided me with amazing opportunities and they have the best coaches, employees and club members. They have the passion and patience that make them a truly unique group. I talk to countless members who found DFW Surf because they too were going through a rough period in their life. At DFW Surf, we aren’t just building a business, we’re building a family. 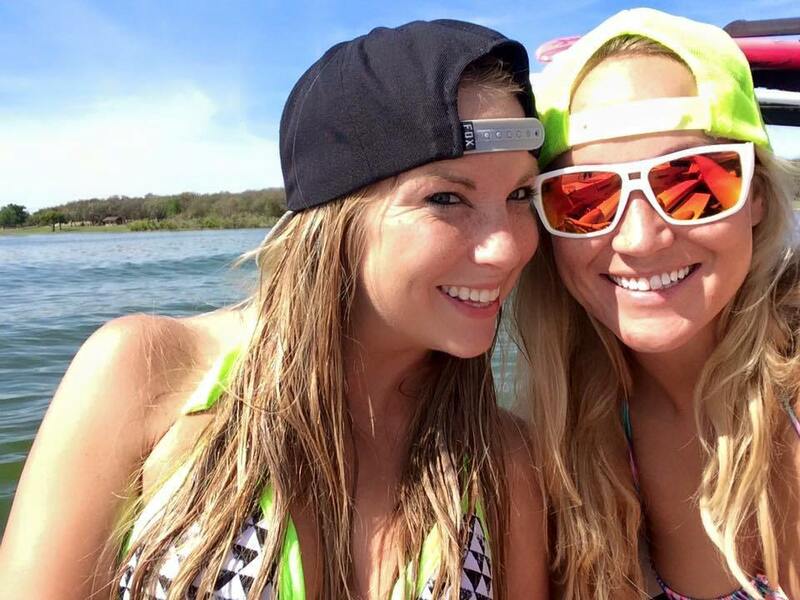 To be honest…most of us found our significant others by taking paddleboard lessons. If you’ve never checked them out, please do. It’s obviously the off season, but summer will be here before you know it. (This is totally unauthorized by the way…no one knows I’m writing this but I hope my friends over at DFW Surf enjoy it). · Surfing has taught me what’s truly important in life. It’s the people we meet, the memories we make and the experiences we have. Everyone’s situation is different and everyone’s passion and priorities are different, but for me surfing has brought a new meaning to my life. I have a new purpose and I no longer worry about the small stuff. I have found my center, my purpose and my place. As I approach 30 and plan my first trip to go ocean surfing, I can’t help but look back on how different I am than I was 6 months ago, a year ago, and 5 years ago. For all the people out there who are looking for a new challenge, a new group of friends, a new love or even a new perspective on life – I encourage you with all my heart and soul to give wake surfing a try. Not just here in DFW, but anywhere! It has truly changed my life and shown me that there is a place in this world for everyone and it’s never too late and you’re never too old to find it. If you ever want to give wake surfing a try, please let me know. It’s my mission in life to share my new passion with everyone.